Nearly a hundred years after its debut in 1897, Dracula is still one of the most popular of all Gothic narratives, always in print and continually adapted for stage and screen. Paradoxically, David Glover suggests, this very success has obscured the historical conditions and authorial circumstances of the novel’s production. 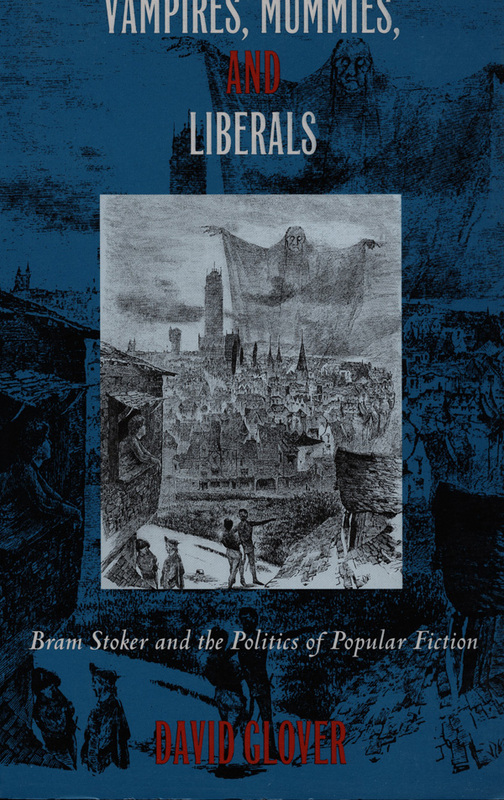 By way of a long overdue return to the novels, short stories, essays, journalism, and correspondence of Bram Stoker, Vampires, Mummies, and Liberals reconstructs the cultural and political world that gave birth to Dracula. To bring Stoker’s life into productive relationship with his writing, Glover offers a reading that locates the author within the changing commercial contours of the late-Victorian public sphere and in which the methods of critical biography are displaced by those of cultural studies. Glover’s efforts reveal a writer who was more wide-ranging and politically engaged than his current reputation suggests. An Irish Protestant and nationalist, Stoker nonetheless drew his political inspiration from English liberalism at a time of impending crisis, and the tradition’s contradictions and uncertainties haunt his work. At the heart of Stoker’s writing Glover exposes a preoccupation with those sciences and pseudo-sciences—from physiognomy and phrenology to eugenics and sexology—that seemed to cast doubt on the liberal faith in progress. He argues that Dracula should be read as a text torn between the stances of the colonizer and the colonized, unable to accept or reject the racialized images of backwardness that dogged debates about Irish nationhood. As it tracks the phantasmatic form given to questions of character and individuality, race and production, sexuality and gender, across the body of Stoker’s writing, Vampires, Mummies, and Liberals draws a fascinating portrait of an extraordinary transitional figure. Combining psychoanalysis and cultural theory with detailed historical research, this book will be of interest to scholars of Victorian and Irish fiction and to those concerned with cultural studies and popular culture. David Glover is Lecturer in English at the University of Southampton.